Now Part National Monument With A Much Needed $3 Million Monument Fund. On Friday morning, President Barack Obama designated a significant portion of Angeles National Forest (almost 350,000 acres) as San Gabriel Mountains National Monument. 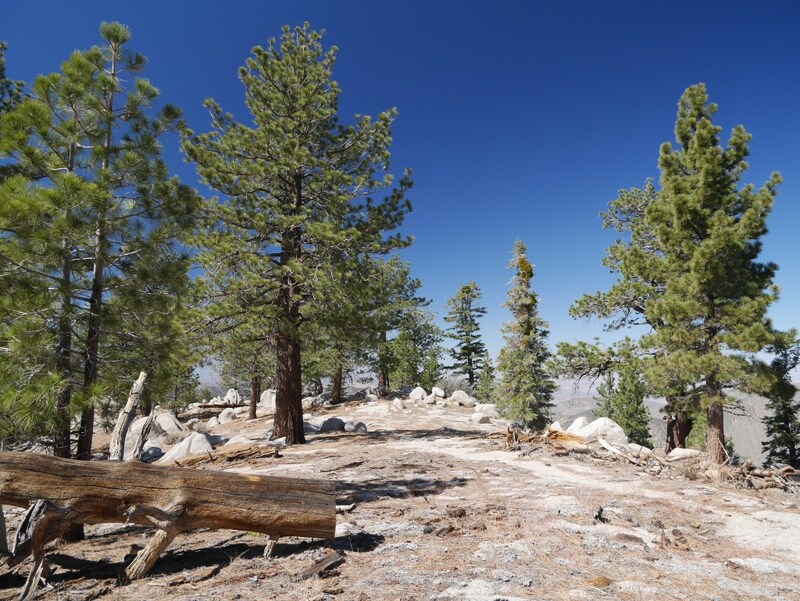 Also, the National Forest Foundation (NFF) announced approval of a $3 million San Gabriel Mountains Monument Fund (currently $850,000 has been raised for this pledge). In addition, the NFF is working with other groups to establish a $500,000 San Gabriel Partnership Fund. A key reason to establish this area as a National Monument is to provide the ability to gain access to grant funding and public-private partnerships. That the ability to raise money and direct it is already providing much needed economic resources to this underfunded and sadly neglected resource is encouraging for me. I am hopeful that much needed improvements are far more likely to appear with this change. View of Winston Ridge from my hike on Thursday–the last day before becoming part of the San Gabriel Mountains National Monument. With most of the hikes on this blog no longer being in Angeles National Forest, I might need to rethink its name and edit a lot of information such as where a peak is located in my peak bagging resume etc. Worth the effort though for the difference I think this will make for the forest. As with any change, there are those who are against it. In this case, I chalk that up to a lot of misinformation floating around. Casey Schreiner has followed this more closely than I and has written a number of good posts on what this change means. 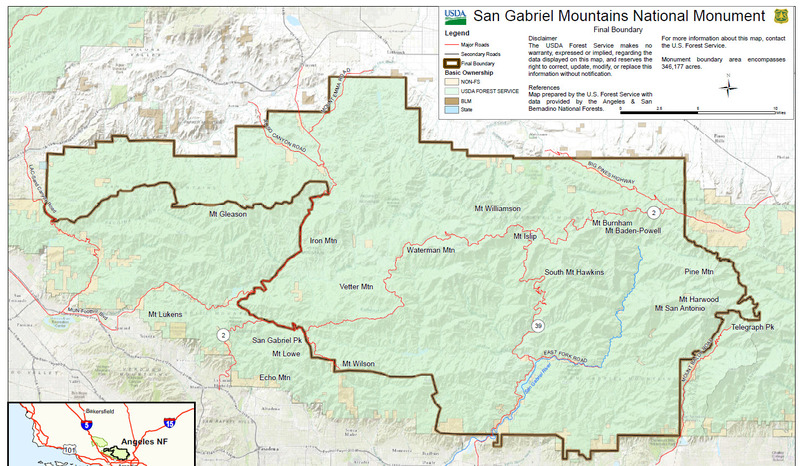 If your are interested in more information, this post on his blog Modern Hiker is a good place to start as is the new San Gabriel Mountains National Monument page. This entry was posted in Hiking and tagged Angeles National Forest, San Gabriel Mountains National Monument by Kyle Kuns. Bookmark the permalink. Basically my back yard growing up. Im glad to see this happen. Hmmm. . . by that map, the monument does not appear to include Santa Anita Canyon. This is unfortunate, as I’m sure some of that money would have benefited a shuttle service to mitigate the traffic and parking issues at the trailhead. Aside from that, this is wonderful news for the forest. Given the some of stated goals of the monument system–e.g. “to protect objects of historic or scientific interest”–I think it’s also unfortunate the entire Echo Mountain and Mt. Lowe Railway areas are not in the monument area. It will be interesting to see if the monument’s area expands in the future or if the entire area eventually becomes a National Recreation Area as was initially intended and is apparently still being pursued.